These are similar to Russian Tea Cakes or Mexican wedding cookies. Toast Nuts: place nuts on a baking sheet and bake at 350 for about 8-10 minutes, until lightly toasted. Cool completely. Place them in the food processor (fitted with the metal blade) with 2 tablespoons of flour from recipe. Process until finely ground (not a paste). 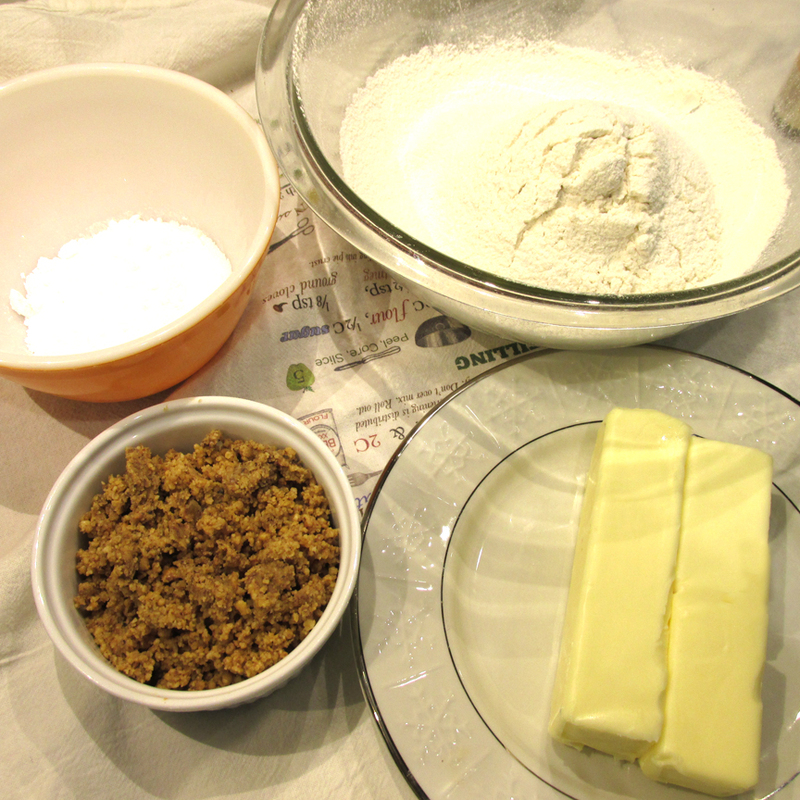 In the bowl of an electric mixer (or hand mixer) beat the butter and sugar until light and fluffy (about 2 minutes). Beat in vanilla. Add the remaining flour and salt and mix until combined. Stir in the nuts. Cover and refrigerate the dough about 1 hour. Form the chilled dough into 1 inch balls and place them 2 inches apart on ungreased non-stick baking sheet Bake at 350 for about 12 minutes until slightly brown. Remove from baking sheet and cool on wire rack for about 5 minutes. 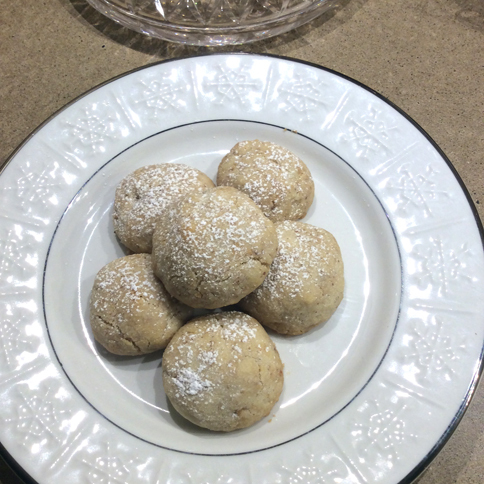 Put powdered sugar in a sieve and sift over slightly cooled cookies..